Greater Des Moines is full of unexpected delights waiting to be discovered. 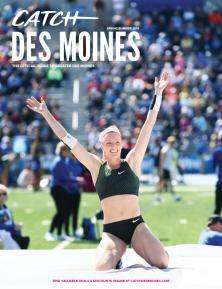 Catch the latest Greater Des Moines news, events, things to do and insider information. With a focus on driving economic success and enhancing the quality of life in the Greater Des Moines communities we represent, Catch Des Moines is the heart, the soul and the energy of our destination. Catch Des Moines is an accredited Destinations International member. The Greater Des Moines Convention & Visitors Bureau and the Des Moines Area Sports Commission, collectively known as Catch Des Moines, market the region as a visitor destination increasing economic growth and enhancing the visitor experience.